Ovlac will be once more at display at Agritechnica 2017 in Hall 11 – stand D40 – with some important news to see. The main one will be a prototype of its new Series of reversible mounted ploughs, in particular, a 5 furrow hydraulic auto reset which sticks out by its solid and reliable design as well as by its user-friendly adjustments. 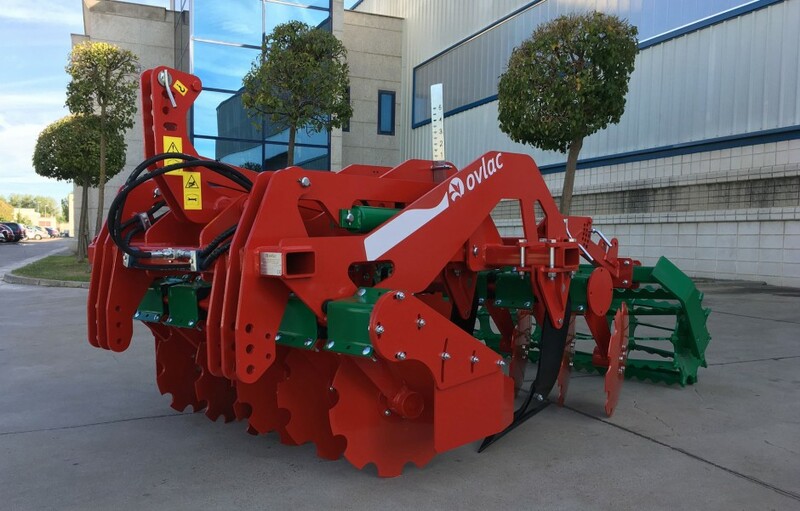 Also for the first time in Hanover, Ovlac will show a sample of its new vineyard range: the Minichisel V with an innovative protection by rubber suspensions which Ovlac introduced years ago applied to tines, and the RepTill, an efficient combination of short disc harrow and pan eradicator. Ovlac will also display the rest of its tillage range. Of course, as it couldn´t be otherwise due to its popularity in Germany within organic farming, there will be a shallow plough Mini-NH-7+2 with a working width of 3.5 m. As for the tines product line, a Versatill will be on display showing both auto reset systems: leafspring and hydraulic. Finally, a short disc harrow Maxidisc II 400P featuring a leafspring roller.